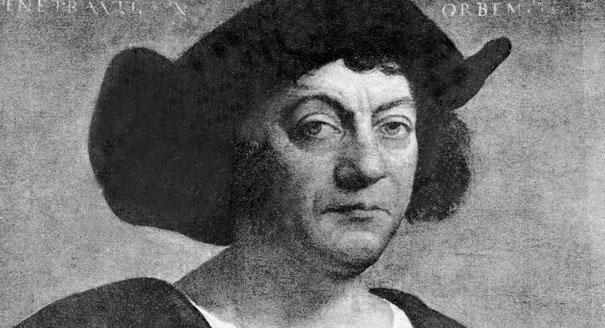 Under the watch of Superintendent Denise Juneau, students in Montana schools are being taught that Christopher Columbus was an invader, thief, and murderer who sailed the world, not to prove that it was round or to share the good news of Jesus (as Columbus wrote), but “to secure the tremendous profits that were to be made by reaching the Indies”. In this Montana ‘model lesson plan‘ on Rethinking Columbus, author Bill Bigelow admits he wants to “tell students that they shouldn’t necessarily trust the ‘authorities'”, and that he sees “teaching as a political action…to equip students to build a truly democratic society”. 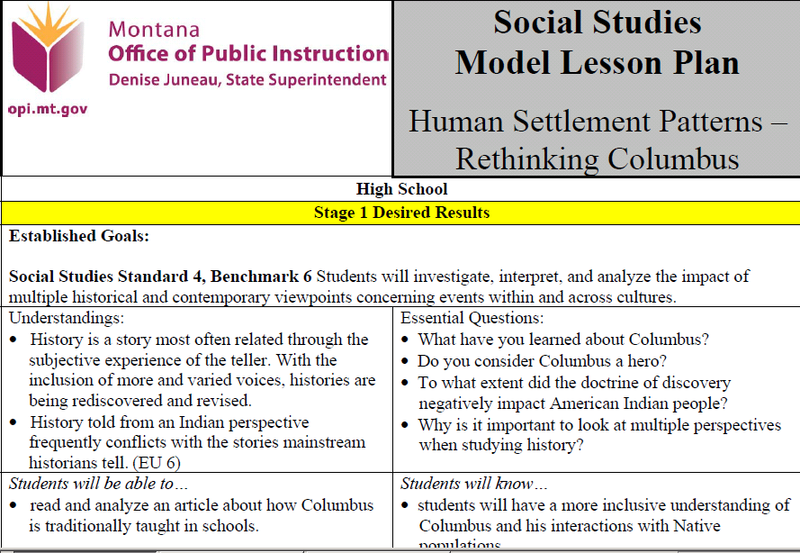 The lesson reveals that the teaching strategies of the Coalition of Essential Schools, specifically “essential questions”, are used in an effort to give students a “more inclusive understanding of Columbus and his interactions with Native populations”. This entry was posted in COMMON CORE/CSCOPE - GENERAL, COMMON CORE/CSCOPE/CES CONNECTION, WHAT ARE THEY LEARNING? and tagged Arizona, banned, Bill Ayers, Bill Bigelow, CES schools, Christopher Columbus, Coalition of Essential Schools, Common Core, communist, CSCOPE, Denise Juneau, domestic terrorist, lies, misrepresentations, Montana, Montana Office of Public Instruction, murdered, name names, Obama, Rethinking Columbus, Rethinking Schools, superintendent, thief. Bookmark the permalink.